In this series on the historical backdrop of the Bible, we have looked at two events so far: Babylonian Exile and the United monarchy. Today, we look at the conquest of Alexander the Great from 336 B.C. to his death in 323, just before his 33rd birthday. Alexander’s conquest failed in its political goal; it did not create a common allegiance among the city-states conquered. It did not form a united nation under the “divine” leadership of Alexander as prince or king. Culturally, however, Alexander spread Greek influence across the whole area you see in the maps at the back of your Study Bible. It’s not that everyone gave up their own culture or deities or local customs; but, they found a veneer of Greek culture spreading across the empire. That veneer penetrated more deeply among the aristocracy and splattered more thinly at the edges of society, but one thing changed for everyone: Greek became the common language of people all over the known world. Greek thought, in particular the philosophies of Plato and Alexander’s tutor, Aristotle, spread with the language. 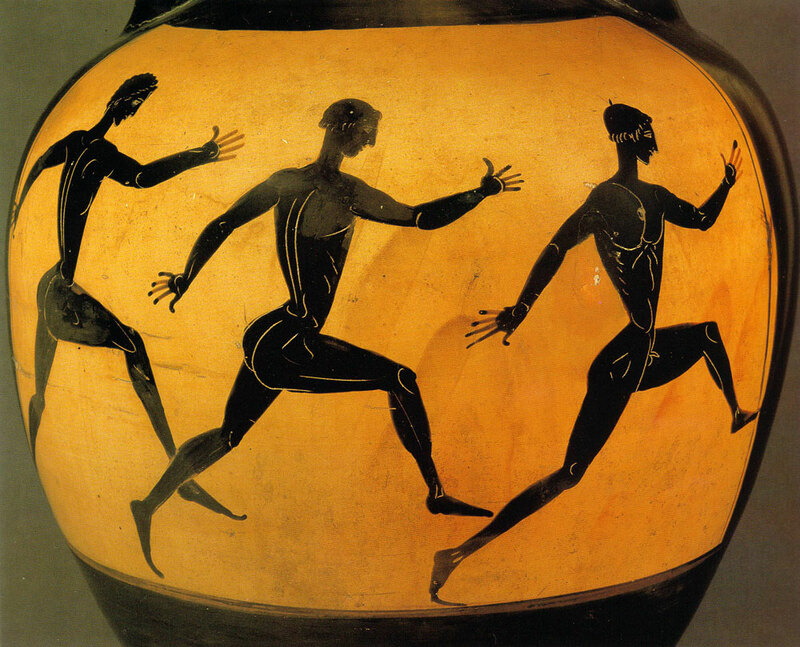 Religion, sculpture, theater, and athletics took their form from Hellenistic culture. Language: After Alexander’s conquest, scholars translated the Hebrew scriptures into Greek. Many Jewish members of the synagogue and Gentile adherents could read the scriptures only in Greek. We might compare the younger Jewish generation in Palestine to young Native Americans who understand some of the Navajo, Choctaw, or Chickasaw of their grandparents, but they don’t speak it or read it themselves. The earliest New Testament texts we have were written in Greek. The Old Testament in English translation leans as heavily on the Greek translations from Hebrew as it does on the oldest Hebrew manuscripts available. Why? Because the Greek translations we have used Hebrew texts that are older than any Hebrew texts we now have available to us. Power: The military conquest of Alexander the Great, followed by the Roman conquest and military presence in Palestine provided the backdrop for the words “Messiah” and “Savior.” Even for those Jews (and there were many) who rejected the Zealot resistance because they believed that violence did not reflect God’s intention for the world, the idea of a Messiah or Savior who could defeat the power of evil without military might seemed impractical. Whether or not one adopted the view that the emperor was divine, one’s view of a Savior or Messiah was deeply influenced by the story of Alexander the Great. 1. Jesus taught non-violent resistance against the Romans (Matthew 5:39) “if anyone strikes you on the right cheek, turn the other also; and if anyone wants to sue you and take your coat, give your cloak as well; and if anyone forces you to go one mile, go also the second mile.” In a culture formed by military conquest, this would have sounded absurd and impractical. Does it sound any more practical to those of us who live under the threat of terrorism? Or, for our parents or grandparents who fought against Naziism? I’m not exactly a pacifist, so I struggle with this—what if Jesus really meant it? 2. To what extent, if any, has learning a new language affected your ability to think in different ways? To empathize with people from different backgrounds? To understand the ideas of people very different from yourself? 3. In Paul’s most familiar passage, 1 Corinthians 13, in what ways do you find Paul using Platonic or Aristotelian thought in his argument? In what ways do you find him pushing against Hellenistic philosophy with more Jewish concerns, idolatry in particular?